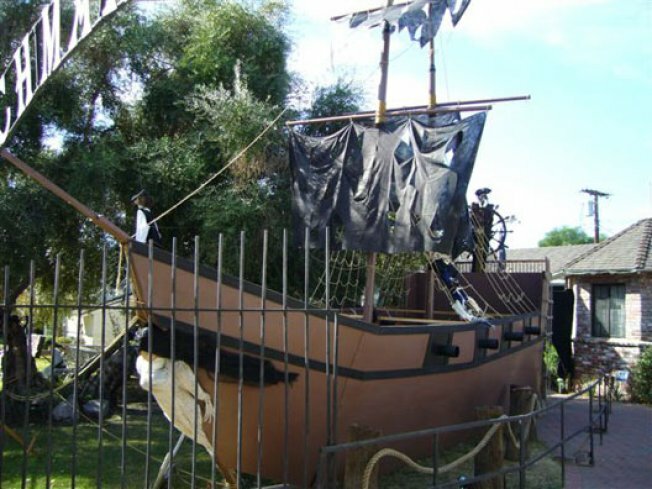 A reader reports on another front yard pirate ship display, this one enchanting our adorable children in the Valley. Where are the ninja and robot displays this year? We want robots! Via the inbox: "If you want to see one of the best Halloween displays, check out this pirate ship. There is even a battle going on between the British and the pirates every minute and a half. This is a don’t miss Halloween Display. It is located in Northridge on Chimineas ave. The closest cross streets are Reseda and San Fernando Mission."